Welcome my fellow Tablers. 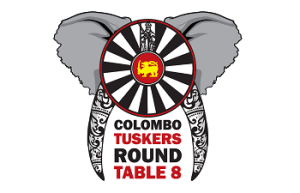 This year marks the 2nd year of Colombo Tuskers Round Table 8. We were inaugurated in September 2016 and have moved heaps and bounds since then. We have achieved fellowship and as a table we have become extremely close with each other in fellowship. This year, our primary focus service project remains Aloka Elders Home. The home, situated in Panadura, provides care for over 55 elderly citizens from around the island who have been neglected or even abandoned by their families. CTRT8’s short term goals for Aloka include providing convenient and reliable access to clean drinking water, as well as hot water for bathing. Medium term, we are looking to increase the capacity of the home by constructing additional rooms. As the long-term vision, we are working with Aloka to set up an agricultural farm as a revenue stream for the home to be financially self-sufficient.